It can be hard being a parent on a budget, especially when the parents have to work during their children’s after school hours. Having a babysitter every day after school can add up, which is why after school programs for kids are so important. If you need valuable and enriching after school child care, look into one of these 10 North Dakota programs. BLAST, or Bismarck Life After School Time, is an after school program in which children can do activities like arts and crafts, games, tutoring, and sports under the close care of the program’s supervisors. This program is especially helpful to children struggling in school, as it gives them dedicated time to get one-on-one help from aides. BLAST is available to several Bismarck area schools including Centennial, Grimsrud, Liberty, Miller, Murphey, Northridge, Prairie Rose, Solheim, and Sunrise. Parents interested in the BLAST program can call the Bismarck Parks and Recreation Department for more information. The SOAR (Students of All Abilities Respected) after school program is held at TNT Kid’s Fitness & Gymnastics in Fargo and is a favorite of local parents due to the enriching activities kids can take part in. The children are picked up from school by staff members. Each child gets at least an hour of physical activity as well as a healthy snack and time to work on homework with the staff’s help, if necessary. Children from any school can attend the after school program, but pick up is available at Eastwood Elementary, Freedom Elementary, Independence Elementary, L.E. Berger Elementary, South Elementary, Westwide Elementary, and Willow Park Elementary. The Extended School Program (ESP) is available for local families and is funded by grants from local businesses and organizations. While in the after school program, children work on improving their academic skills, whether practicing math problems, reading a new book, or learning about scientific concepts, and also social opportunities. ESP is available at several schools in Mandan (Custer, Roosevelt, Mary Stark, and Mandan Middle School) and Bismarck (Dorothy Moses, Myhre, Pioneer, Saxvik, Lincoln, and Will-Moore). YMCA Grand Forks offers the MASH after school program for children in grades kindergarten through fifth grade. This structured learning environment gives kids the chance to engage in activities like academics, team and cooperation activities, arts and crafts, board games, and physical fitness activities. Snacks are also given to the children, as well as breakfast and lunch on certain days. If interested, call the Child Care Director at YMCA Grand Forks for more information. The Door of Hope Freedom Center provides invaluable, enriching after school child care to residents of the Bismarck area. The Christian-based center provides transportation from school and is open on school days from 2:30 p.m. until 6 p.m. Children can learn about reading and science, do arts and crafts, and play outside all while making new friends with other kids. Call The Door of Hope Freedom Center for more information about pricing and availability. The GNLCC after school program is held at Bakken Elementary in Williston. While at this program, kids can strengthen their academic and social skills, as well as play outside and get physical exercise. Call the Williston Public School District for more information about the program. While not strictly an after school program, the Fargo YMCA Early Learning Center is a valuable resource for busy parents on a budget. The program is open for infants through preschool children and during their time at the center, they’re taught about math and science, perform plays, learn about music, and learn how to operate a computer. The prestigious program gives young children a head start on their education while giving parents time to work without worrying about a babysitter. Services are available from 6:30 a.m. until 6 p.m.
Three Rivers Gymnastics in Wahpeton provides a highly recommended after school program called the Gym-N-Learn program. In this program, children can play with friends, do homework, do arts and crafts, and learn gymnastics and dance after school. A free snack is also provided. Services are available Monday through Friday from 3 p.m. until 6 p.m. The Central Valley Public School provides a before and after school program for children that is open from 7:15 a.m. until 5:30 p.m. Students are allowed to work on computers or their homework and staff members can provide one-on-one help to the students. 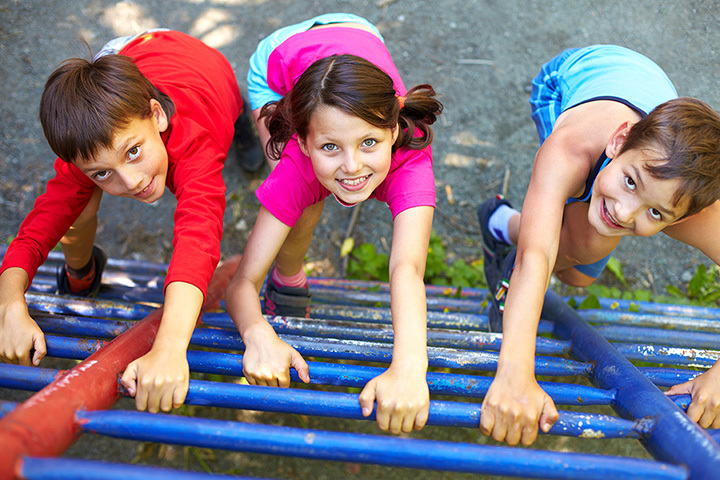 In addition to homework time, students also have scheduled time to play outside and get physical exercise. Call the Central Valley Public School for more information on their after school program. The Boys & Girls Club in Fargo provides after school car for a small fee. They are open from Monday through Friday until 6 p.m. and is available for children from ages five to 12. The program is available at local elementary schools and other sites like Bennett, Centennial, Eagles, Ed Clapp, Fargo Youth Center, Hawthorne, Kennedy, Lewis and Clark, Lincoln, Longfellow, Washington, and the Youth Center at Rose Creek.